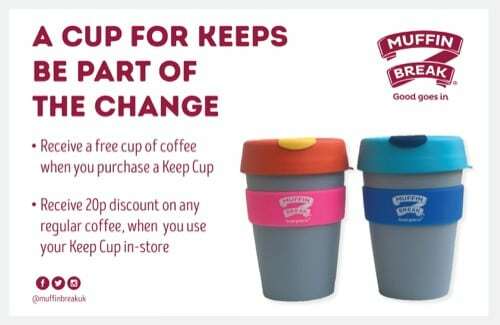 Any customer that buys a Muffin Break Keep Cup will receive a free coffee at the point of purchase, to go in their cup. For any customer that brings in their own reusable cup (not just their Keep Cup, any reusable cup!) will be rewarded with a 20p discount. Prices will vary between stores.